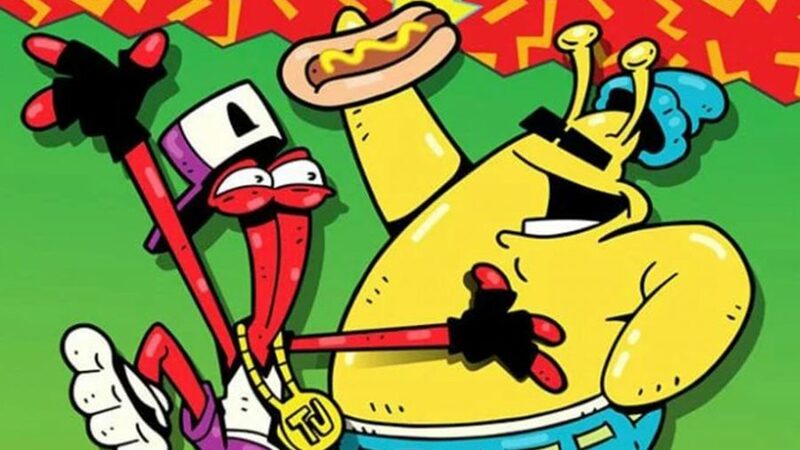 It’s been over two decades since ToeJam and Earl funkified the world, and it’s taken all of that time to get a real sequel to the cult classic. It’s not just fans who’ve been waiting all that time, either – series co-creator Greg Johnson has been trying to make it happen too, and the side-scrolling platformers and 3D action games that happened in the meantime have never really fulfilled that original promise. The original ToeJam and Earl was a roguelike before most players were even aware that could be a genre. You picked up randomised presents with unpredictable effects, and explored a big, multileveled world in search of the missing spaceship parts you need to get the titular aliens back home. 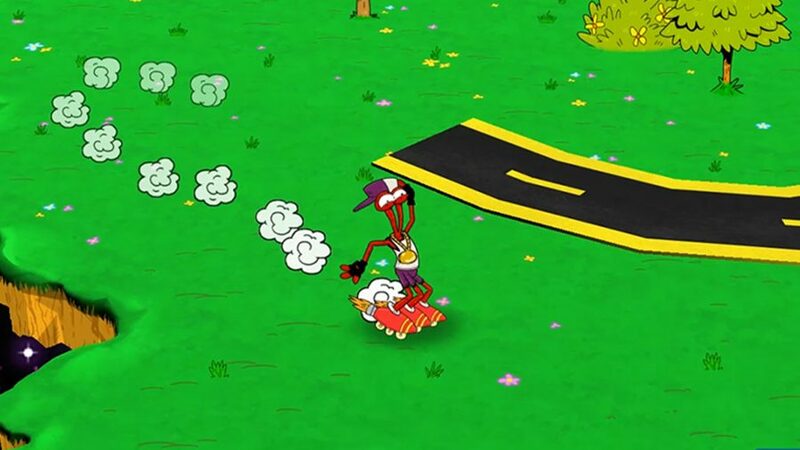 ToeJam and Earl: Back in the Groove narrowly hit its Kickstarter goal back in 2015, and finally released earlier this month. At GDC, we got the chance to sit down with Greg Johnson and talk about how the game’s been received, what it’s like making a sequel to TJ&E these days, and why he keeps coming back to the series after all these years. PCGN: The game’s been out for a few weeks now. What’s the response been so far? Greg Johnson: Oh, good. It’s funny to say it but surprisingly good. 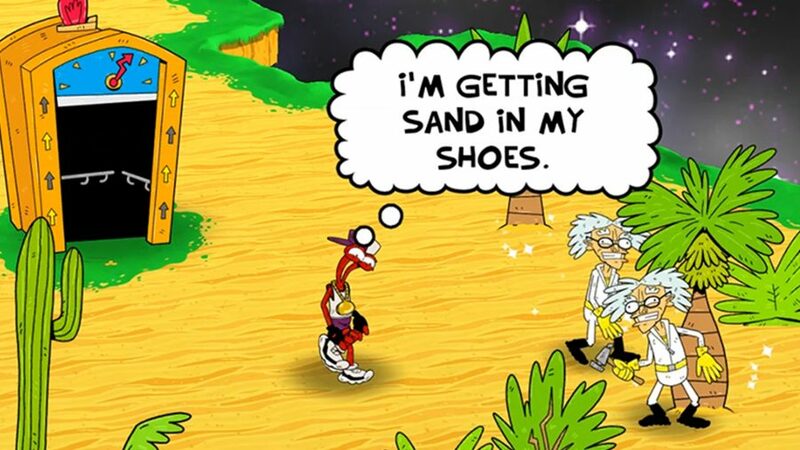 Just because ToeJam and Earl has a history. It’s particularly tricky when you release a game that people have strong feelings for and big expectations for, so you’re kind of holding your breath. ToeJam and Earl has always sort of been an outside of the box kind of game. People either get it or they don’t – it’s paced differently, it’s a little slower, it’s brightly coloured, and not very aggressive. You’re doing a lot of running away in the game, and if you don’t know how to use your presents, it can be pretty darn boring – just walking around and running away from things. So you’ve got to know how to play it, and also it’s really built as a multiplayer game first. A lot of people will pick it up, not use their presents, play it as a single-player game and go ‘what is it, I don’t get it.’ I have seen some of that, and it’s very familiar because it’s kind of the same stuff I saw back when we released the original game. But for the most part, reviewers have have really loved the game because a lot of them are old school and knew the game. And it’s not just reviewers these days, you know, the response you get comes through many channels. We had over 9,000 backers, and we’re hearing from all of them now of what they thought about the game. And then of course, there’s all the streamers and the YouTubers and Twitter – everything, right? It’s just, like, all directions. Overall, people seem to be saying that it hits the spot of and takes them back to those feelings that they had in the original game. And that it does a really great job of giving them what they wanted and expected from the original experience, but then also updating it and adding new features and just kind of fresh new ideas. A lot of people have been sharing the game with new people, like their kids or their spouses or friends, and sort of bringing them into the fold of the funk. That’s been fun to hear. We’re getting a lot of testimonials from people and a lot of joy. And there’s always those few people on the internet who want to complain about something. Do you think the rise of roguelike indie games has made it easier for new players to understand what ToeJam and Earl is about? Yeah, I think so. It’s funny, though – we know ToeJam and Earl as a roguelike right and every reviewer who talks about it says that. But it’s so weird on the surface, you know that a lot of people don’t get that off the bat. I’m often surprised because I find myself saying to people, ‘hey, this is Rogue, check it out. These are the random levels. These are the hidden pathways.’ Presents are your potions and your scrolls, and you have to identify them. It’s been funny because people go, ‘Oh, right. I see.’ How could you miss it? From my point of view, from our perspective, it seems so obvious, but a lot of people don’t see that. So I don’t know. It’s hard to know if that has made it immediately understandable or accessible to people but I’m sure to some degree it has. What do you think it is that keeps you coming back to ToeJam and Earl after all these years? It’s never left me. It was a – what would you call it? A seminal or pivotal game for me, in my life and my career. It has a very special place in my heart. It sort of stands above all the other things, and I’m not sure why that is. It came at a time in my life when I wanted a release from stress and it was just the right medicine at the right time. Building ToeJam and Earl with my friend and business partner Mark, and cranking the music and just doing something crazy and off the wall, based on a game that I really loved. I was Rogue obsessed when I was younger. I don’t mean roguelike obsessed – I mean Rogue obsessed. That was the game. The roguelike options were more limited back then. Yeah, they actually really didn’t exist. We were one of the very first. It was a blast, making that game. The characters kind of came out of who I am and my background. It’s a lot of angles – if you want me to lie down on the couch, I’d be happy to psychoanalyze myself and spill it all for you, but that might take a little while. Is that part of why Back in the Groove goes back to basics rather than trying the new stuff the other sequels did? It’s kind of the other way around. I’ve always wanted to do a sequel to the original game. Even when we did the second game, we started doing that. We got three or four months in, Sega asked us to change. So we said okay. Then the same thing happened again on the third game. We got very far into making the game very close, structurally, to the first game. Then before we finished, once again, our publisher came to us and said, ‘Hey, guys, we want you to change it up completely.’ Every time I’ve gone back, I’ve tried to do this again. So now, it was finally my chance to do what I’ve been wanting to do for decades. When you look back at the original game, were there specific things you weren’t happy about or wanted to change? Yeah, to some degree. 26 years gives you a lot of time to think about it, and a lot of feedback over the years from people. It’s not that I was particularly unhappy with elements in game one. But there were things that might be kind of boring. I’m not sure that they’re really significant, because the fundamentals of game one I was pretty happy with, but I always wanted a little more of a living world. We put in hills into the terrain so that it’s not as flat or boring. We put trees and houses in there that didn’t used to be there, and gave you a way to interact with all of that stuff. The rocket skates will send you now flying if you hit a hill, so they play into the gameplay. And the trees and the houses, they’re all part of the gameplay, too. Another thing is that even though you still don’t have any permanent offensive capability. We played within game three, where you could do Funk-Fu and shoot notes, because some of our fans had said that they were frustrated that you couldn’t attack all the time. So we went ahead, and we tried that in that game. But in this game, a lot of our fans were purists and were like, ‘No, no, that’s not TJ&E.’ Nevertheless, we gave you a lot more kinds of presents that could be offensive – not offensive, but offensive – in interesting ways. And a lot of funny, weird defensive presents, too. One of my favorites is the Earthling disguise. You put on this stupid-looking Earthling patched-together head, and then as you walk around, all the Earthlings will say ‘hello, typical Earthling.’ And then you’ll say things like, ‘you probably don’t want to attack me. I’m a typical human.’ ‘Yes, hello, typical human.’ Stuff like that. It’s just silly and fun. I mixed it up a lot more in this game. A lot more interactions with the Earthlings and a richer, more exciting, interesting world. So yeah, I guess there have been things I’ve been wanting to do for a long time. And this was my chance. I’ve been wanting to do – not actually since the game, but since some point after the game, after I started getting feedback from the fans – was just to take another swing at it to incorporate all of this stuff I’ve heard from them. This gave me a chance to do that. We had a forum after we did the Kickstarter. It blew me away, the number of people that got on there. I couldn’t even read all of it. There were hundreds of threads, and every thread had like thousands of comments in it. Every time I turned around, there were ten new threads people had started. I did spend a lot of time mining that and talking with the fans and got a lot of ideas and a lot of perspectives on what they they cared about and what they wanted, and had memories of in the game. That’s something I couldn’t have done even ten years ago. So when we game three in 2000 – we released in 2003, but we started in 2000 – I didn’t have that resource available to me. That’s a pretty incredible thing. It’s funny, too – a lot of our fans expressed surprise and delight at being heard, and being able to be part of the development process. I couldn’t understand that – why that’s unusual. There’s so much benefit to developers. Who wouldn’t want this as a developer? To hear what the people you’re making the game for actually want, and what they think, and have a resource like that. Is that kind of feedback something that affects further updates for Back in the Groove, as well? Oh, yeah, you bet. We’ve been getting a ton of feedback. We’re on Discord – I can’t keep up with it. One of our fans was so active. His name was Anthony – he was so great at just stepping in and moderating all of this stuff for us, both on our forum and on Discord, that we went ahead and hired him. Now he’s collecting all that data, organising it and correlating it for us. One of the things we’ve been getting is all the kinds of DLC that our fans want, and all the different kinds of game modes that they’d like for speedrunners. For you to be able to change up the game in different ways and make it more replayable. We’re listing all that stuff out, and I’m excited. I’m just fingers crossed that we’ll make enough money to be able to do the DLC. In this industry, you just never see very far down the road. You just gotta have faith, really. It’s a funny thing. If you don’t have the capacity to be optimistic and just have faith, you can’t survive doing this. I’ve seen too many people just drop out. ToeJam and Earl’s style was very much of a time – do you have to change your approach now, going back to it? Yes and no. In those days, I wasn’t trying to do that style. It’s just what came out organically. Now I have to be a little bit more conscious about it, because now it’s going back and retro. I also had to find a way to make it feel like it had the fidelity was higher, and that there was something new about it. But it still feels old, which is a line you’ve gotta walk. How do you make something old and new at the same time. The music speaks for itself. We got great, great musicians and did the same style with much higher fidelity. That’s a no-brainer – that one was easy. The artwork was done by our artist, Nathan Shorts, who I found out of school. He went to art academy, and this was his first job out of school. When I saw his portfolio, I knew right away that was the look. I wasn’t sure up until then. I had hired a whole bunch of artists to do concept art for me It was sort of trying to figure out how I was going to achieve a nostalgic look that still felt fresh and new enough. Nathan was really big into underground comics from the 80s and 90s. His style was like that twisted comics look, but he also had a lot of warmth and humor in his style. I had been looking at some of that stuff, but a lot of it’s kind of dark. As soon as I saw Nathan’s work, I was like, ‘Okay, this is it.’ This is what I wanted to do. In terms of how they talk and who they are as characters and all of that – that part was easy too, because that’s still in me, and my world. This is gonna sound funny, but I grew up in a very mixed environment. My dad’s black, my mom’s Jewish and Russian. I grew up in central LA. I had a big Afro and a boom box and that was my world. So these characters are still part of who I am, and the world that I love.